With each new model, the Civic continually reminds us why drivers love Honda. Year after year, it delivers on performance, quality, safety, and comfort, all reinforced by incredible gas mileage. Honda has steadily upgraded the Civic’s technological capabilities to keep its safety and entertainment features on the automotive frontier, and their endeavors have received the acclaim of generations of drivers. A tight budget is no match for the surprisingly affordable compact, as the Honda Civic provides its indisputable value at a humble price point. Its extraordinary gas mileage promises a guilt-free fill-up as well. If you’re in the market for a new compact car, it’s hard to deny the value and ability of the Honda Civic. We hope you will come by Brannon Honda soon to take this popular compact for a test drive. When you get behind the wheel, you’ll understand why the Civic is one of Honda’s most highly regarded vehicles. For the 2019 year model, Honda builds on the Civic’s established assets with some sensible updates to its styling and technology. The exterior’s new image is both refined and fresh, reflecting the car’s agility with understated curves and a handsome grille. The 2019 model now features the advanced Honda Sensing safety suite as standard issue within all trim levels. The suite includes sophisticated safety tech like traffic sign recognition, adaptive cruise control, forward collision warning, collision mitigation braking, and more. You may opt for the new Sport trim for even more fun features. The unique build offers sport pedals, smartphone connectivity, a touchscreen infotainment system, and push-button start among other amenities. The Civic is available in three body types: a coupe, sedan, and hatchback. The cabin seats five in any build, and high-quality materials keep the ride delightful no matter how long the journey takes. The compact car delivers an impressive amount of cargo space for its light frame, with 46.2 cubic feet of storage available when the back seats are folded. Honda offers several powertrain options for the latest Civic. The base is a 158-horsepower 2.0-liter 4-cylinder paired with a six-speed manual transmission. An optional 174-horsepower turbocharged 4-cylinder is paired with a continuously variable transmission, and some hatchback trims push additional horsepower. The Civic Si produces 205 horsepower, and the four-seater Type R provides 306 horsepower. With any arrangement, you will enjoy disciplined gas mileage. By the time Honda introduced their Civic in 1973, the manufacturer had already made a name for themselves as an esteemed motorcycle producer. The Civic not only marked Honda’s successful introduction into the U.S. automobile market, it made an extraordinarily positive impression with American drivers. The Civic has consistently established standards for its segment since its very first model, and as it evolved over the years, Honda has always explored new ways to enhance the compact car. With each new iteration, the Civic has stayed on the cutting edge of automotive ingenuity, always demonstrating Honda’s latest innovations in engineering and technology. 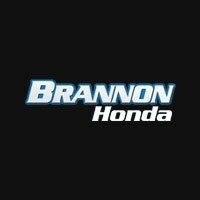 At Brannon Honda, we’ll go above and beyond for each and every customer who visits our Honda dealership in Birmingham, AL. Customers from Vestavia Hills, Bessemer, Homewood, and Central Alabama come to us when they’re in need of new Hondas, Honda financing or Honda services because they know our team is composed of experts they can trust. Our goal is for every shopper’s experience with us to be a great one, and we’ll do everything we can to ensure your happiness. We invite you to come explore our inventory of 2017 Honda Civics and test drive one today!